Delicate wood and bold color choices can sometimes become faded out by the sun and worn after years of hanging on a wall. 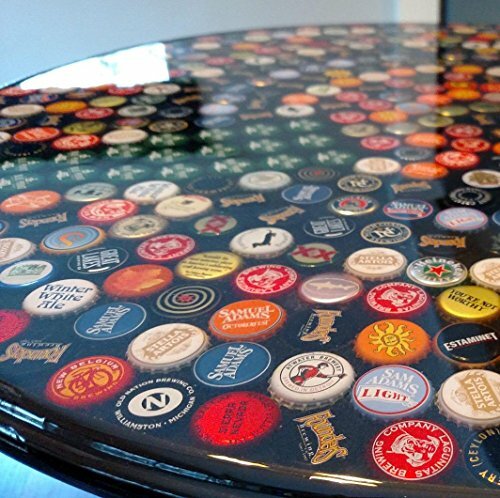 This is even more likely if you have built an item that is functionally like a new table made of wood or a bar top that is covered with something unique. For those type of projects, it becomes difficult to cover and protect your creativity. 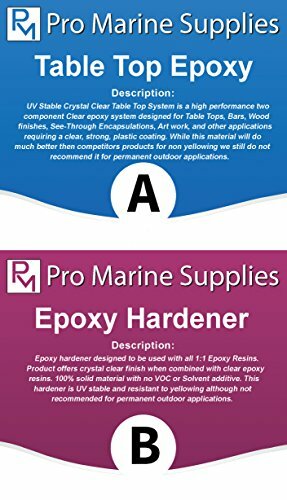 That is why many turn to products such as Pro Marine Supplies epoxy kit. 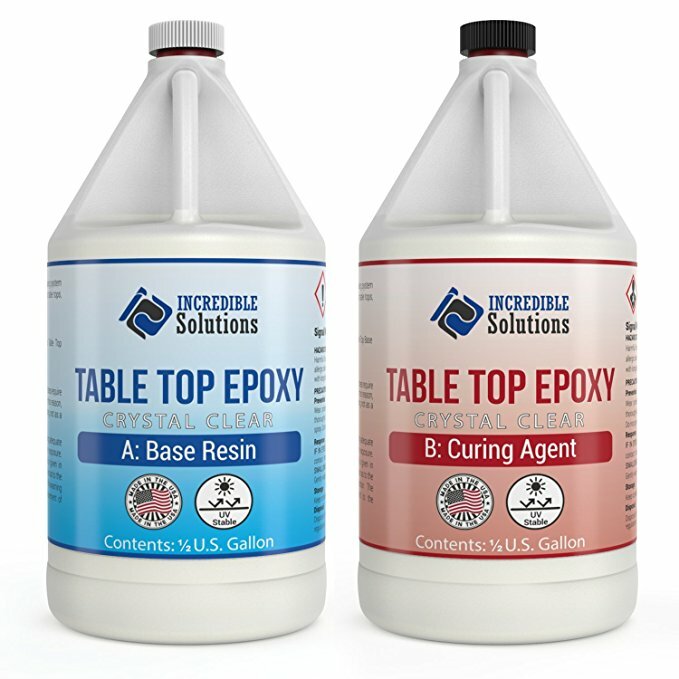 To learn more about it, you should look below at our Crystal Clear epoxy resin coating review to see if it can protect what you are creating. With this kit, you will receive a half gallon of table top epoxy and a half gallon of the hardener. Once you have mixed them together, you will have a full gallon to work with. The hardener has no VOC or Solvent additives. This means it is a non-hazmat, marine grade epoxy. To mix, (if using the entire kit) you simply combine the bottles without measuring. One gallon mixed will cover approximately 37sq. ft. and end up about an 8th of an inch thick. If you want the coating to be thicker, you will have to apply a second coating. If you have a smaller project it must be as close to an exact measurement as possible if you want it to look great when finished. The fact that it goes on and stays clear will enable you to use it for all types of projects. It can be used on painted surfaces, encapsulations and all other artwork you are creating. Regardless of what you are creating, it will be sealed in a waterproof barrier that is resistant to impacts or surface damage. Because it is self-leveling, you will never have to worry that it is thicker in some areas while too thin in others. You will never see any craters, fish eyes, or crawling. It will not lose its integrity over sharp corners or edges. Any area that it covers will have a high gloss finish when you are done with it. 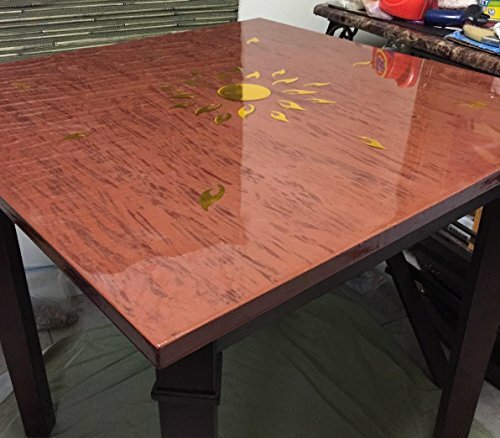 This table top epoxy is very UV resistant. This means that you can use it without concern that your artwork will one day become yellowed by the sun or other UV rays. However, even with the fact that it is able to resist UV rays, you still should avoid using it in direct, permanent sun. Eventually, if left outside, it may turn yellow. This coating will set up fairly quick and an excellent ability to release air. This gives you an improved surface appearance on all projects. If you have a way to apply heat, you can speed it up by using mild heat at a temperature setting of 160F. This will also help to ensure fewer air bubbles will remain in the surface area of your projects. With a 4.4-star ﻿﻿rating, it is quite obvious that most people love using Crystal Clear. Most everyone says that it works very well for them and their projects. However, even the highest reviews provide tips and tricks to help you get through your first project without any major problems. The main tip from most people is for you to follow the instructions exactly. You should mix it according to the directions and stir it well until it is clear enough to look like water. This could take up to 10 minutes of stirring and then you will want to pour it over the surface and smooth it out. If you want the best possible finish, use a small butane torch to apply heat evenly across surface. This will eliminate air bubbles, but you may have to go over it every 10 minutes or so for the first hour of drying time. Also recommended is that before you start with the final coat, make sure you put a very light layer on first to seal the wood. If you do not apply a small layer before a heavy layer, your surface could end up bubbled up. If that happens, you will have to sand it down to get a smooth coating. Is Crystal Clear Worth Buying? This product is fairly priced and great for most people. Some owners say that they were able to create a beautiful piece their first time. 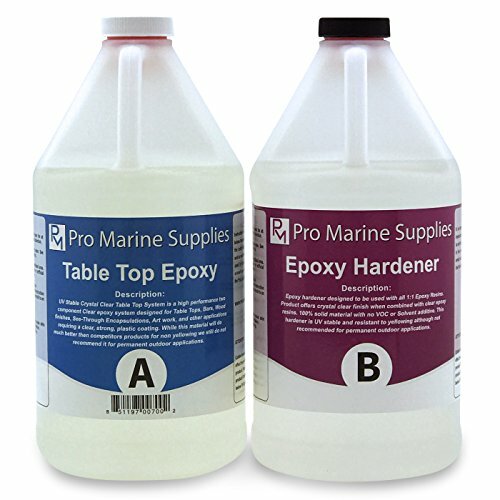 Our recommendation is; if you are new to using epoxy, you should consider testing it out on something small first. Practice with a piece of wood that you are not worried about botching your future masterpieces. Copyright text 2018 by Epoxy Countertop DIY. Incredible Solutions has agreed to offer our readers a 10% Off Coupon. Simply, complete the form below and we'll send you over the coupon code.